§The FreeStyle LibreLink app is compatible with iPhone 7 and newer devices running iOS 11 and later. * Based on comparison of list prices of the FreeStyle Libre 14 day system vs competitors’ CGM systems. The actual cost to patients may or may not be lower than other CGM systems, depending on the amount covered by insurance, if any. 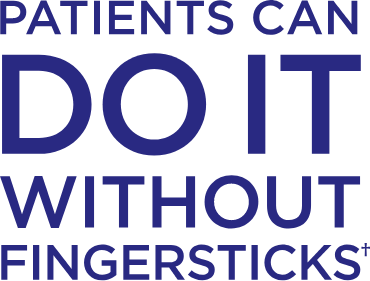 † Fingersticks are required for treatment decisions when you see the Check Blood Glucose symbol, when symptoms do not match system readings, when you suspect readings may be inaccurate, or when you experience symptoms that may be due to high or low blood glucose. 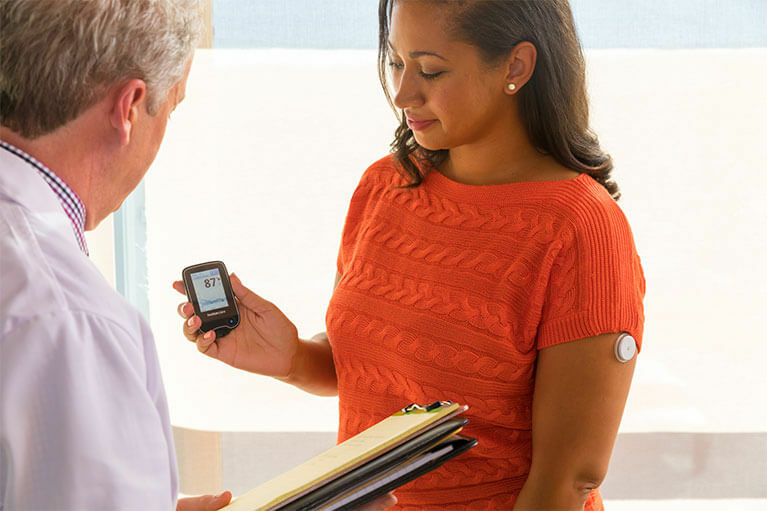 ‡ Coverage is limited to patients for whom professional CGM is medically necessary. Individual plan coverage may vary. Always verify coverage criteria and frequency directly with the payer. § The FreeStyle LibreLink app is compatible with iPhone 7 and later running iOS 11 and later. ‖ Calibration or coding not required by the user. 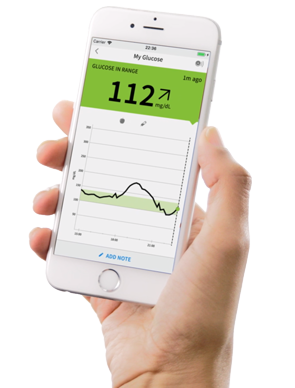 ¶ Benefits of FreeStyle Libre 14 day sensors apply to two 14 day sensors per month. Benefits for FreeStyle Libre 14 day reader apply to one 14 day reader. Void where prohibited by law. Abbott may modify, rescind, or revoke these benefits at any time without notice. These benefits are not available to beneficiaries of Medicare, Medicaid or other federal or state healthcare programs, or residents of US territories and possessions, except Puerto Rico. For Massachusetts residents, only those patients responsible for the full cost of the product may be eligible to receive these benefits. These benefits are only available at participating pharmacies, which are subject to change without notice. The actual amount a patient pays may vary. The FreeStyle Libre 14 day system requires a prescription. Reference: 1. FreeStyle Libre 14 day User's Manual. 2. Bolinder, Jan, et al. Novel glucose-sensing technology and hypoglycaemia in type 1 diabetes: a multicentre, non-masked, randomised controlled trial. The Lancet 388.10057 (2016): 2254-2263. 3. Haak, Thomas, et al. Flash glucose-sensing technology as a replacement for blood glucose monitoring for the management of insulin-treated type 2 diabetes: a multicenter, open-label randomized controlled trial. Diabetes Therapy 8.1 (2017): 55-73. 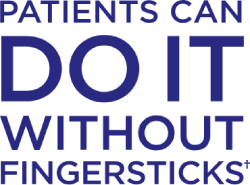 Provider.FreeStyleLibre.us is a product-specific website intended only for residents of the United States.